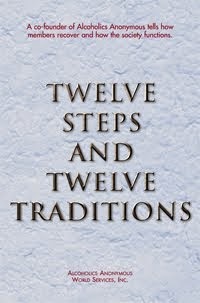 Some of us aren’t too keen on writing out our Fourth Step; others take it to an obsessive extreme. To our sponsor’s growing dismay, we inventory ourselves again and again. We discover everything there is to know about why we were the way we were. We have the idea that thinking, writing, and talking about our past is enough. We hear none of our sponsor’s suggestions to become entirely ready to have our defects removed or make amends for the harm we’ve caused. We simply write more about those defects and delightedly share our fresh insights. Finally, our worn-out sponsor withdraws from us in self-defense. Extreme as this scenario may seem, many of us have found ourselves in just such a situation. Thinking, writing, and talking about what was wrong with us made us feel like we had it all under control. Sooner or later, however, we realized we were stuck in our problems, the solutions nowhere in sight. We knew that, if we wanted to live differently, we would have to move on beyond Step Five in our program. We began to seek the willingness to have a Higher Power remove the character defects of which we’d become so intensely aware. We made amends for the destruction we had caused others in acting out on those defects. Only then did we begin to experience the freedom of an awakening spirit. Today, we’re no longer victims; we are free to move on in our recovery. 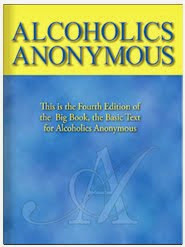 Just for today: Although necessary, Steps Four and Five alone will not bring about emotional and spiritual recovery. I will take them, and then I will act on them.